Bristol Festival of Literature returns from 19th-28th October 2017, with curious, intriguing, inspiring events popping up all over the city. I wrote a feature about it for The Bristol Magazine, titled Bookish Bristol, and was wowed by the options on offer. Events are already selling out, so get your tickets fast! You can pick up copies of The Bristol Magazine all over the city, in cafes, hairdressers, estate agents and other businesses. I’m taking part in a least two events. The first is Bristol Writers Group and Friends Go Into The Dark, taking place in Redcliffe Caves from 7-9pm on Tuesday 24th Oct. Tickets have already sold out! I’m one of the friends, and very excited to be invited back. 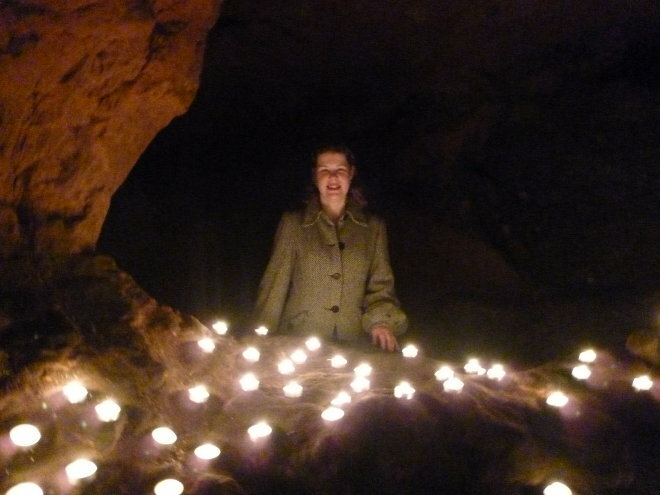 Reading in the caves is a really magical event – it’s a wonderfully spooky environment. I’ll be sharing my tale Merrow Cave. The pic at the top of this post (photo taken by Sally Hare) shows me at a previous year’s event. The second is Novel Nights, which I’ll be co-hosting with founder Grace Palmer from on Wednesday 25th October. 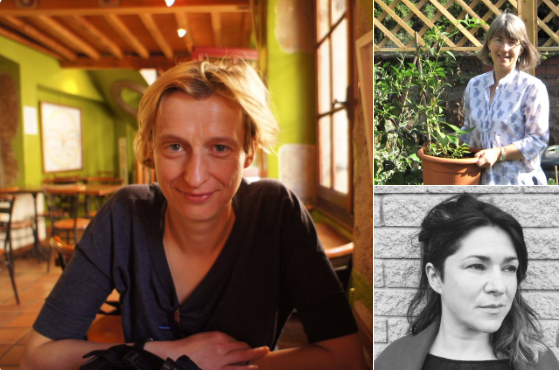 Three local writing talents, Alison Brown, Kate Simants and Deborah Tomkins, will share novel extracts before Cornerstones literary editor Dionne McCulloch offers her insights on novel-writing and answers questions from the audience. It’s happening at The Square Club, 15 Berkeley Square, Bristol. Get tickets for £8 here. There are so many other fabulous literary happenings to choose from too. Find the full programme and ticketing details at unputdownable.org. Hope to see you at an event or few!